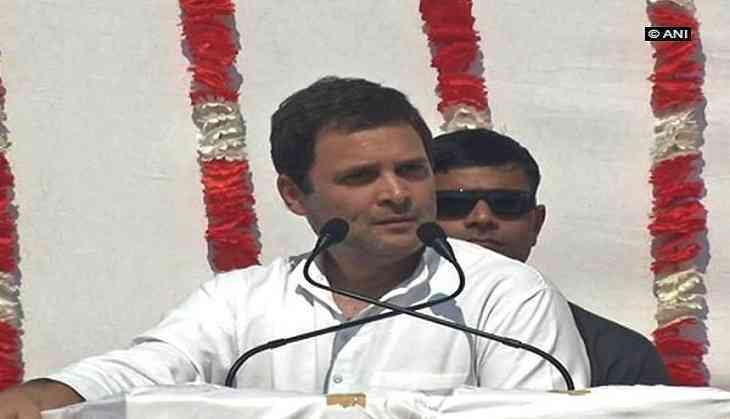 Congress vice president Rahul Gandhi on Saturday took a dig at Prime Minister Narendra Modi after Pakistan released 2008 Mumbai attacks mastermind and Lashkar-e-Taiba chief Hafiz Saeed from house arrest, saying that the former's 'Hugplomacy' with US President Donald Trump failed. Gandhi to his Twitter handle and said "more hugs were urgently needed" between PM Modi and Trump. "Narendrabhai, ??? ???? ???. Terror mastermind is free. President Trump just delinked Pak military funding from LeT. Hugplomacy fail. More hugs urgently needed (sic)," he tweeted. Earlier on November 24, Saeed was released from house arrest in Lahore. Police guards were removed from his residence where a large number of supporters gathered to celebrate the end of his house arrest. In his first address after being released, Saeed blames India and the U.S. for detention and raked up Kashmir. Saeed is said to be the head of the U.S.-designated terror outfit, Lashkar-e-Taiba and had been under house arrest since January 31 this year. The decision to put Saeed under house arrest in January was seen as a response to actions by US President Donald Trump's White House against nations deemed linked to terrorism. He has been declared a global terrorist by the United Nations and the US for his role in the Mumbai attack which claimed the lives of 166 people and maimed over 300 others. He has a USD 10 million bounty on his head.